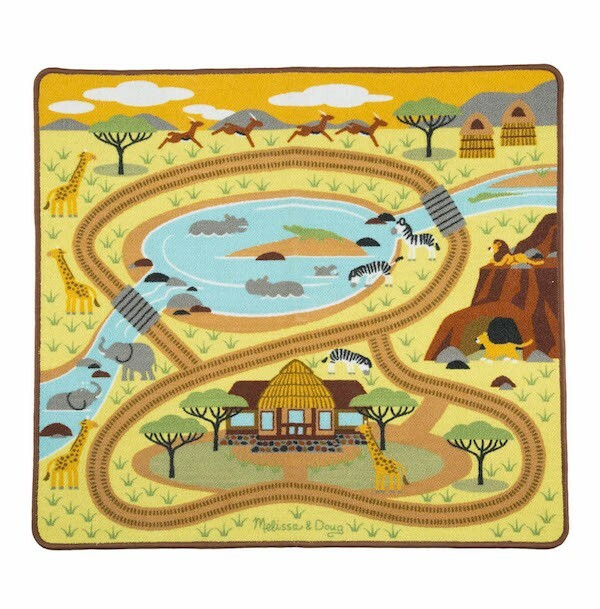 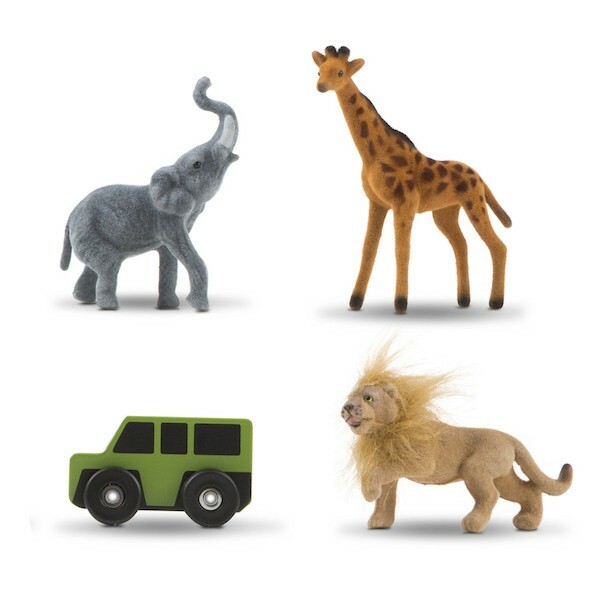 Get ready for exciting wild adventures with this sturdy, colorful safari play rug! 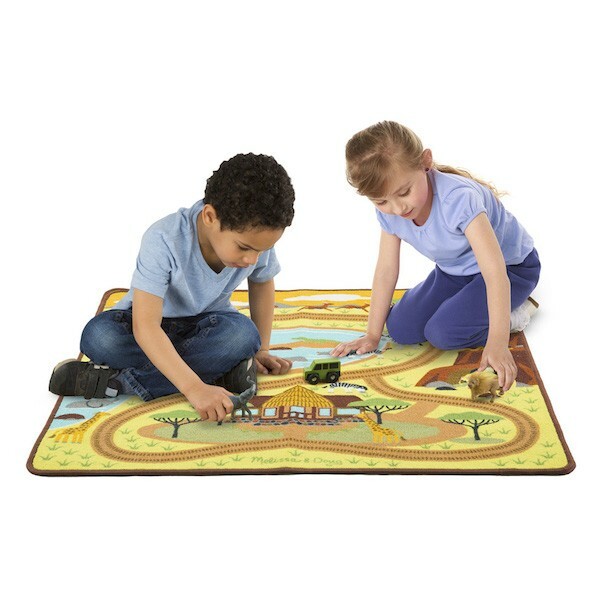 Durably made to look great for countless playtimes to come, the soft, woven rug with a skid-proof backing comes with three flocked wild animal play figures (lion, giraffe, elephant) and a wooden safari truck, and features details like a lodge, dirt road, watering hole, grassland, rock outcroppings, and animals to give many options for creative play. 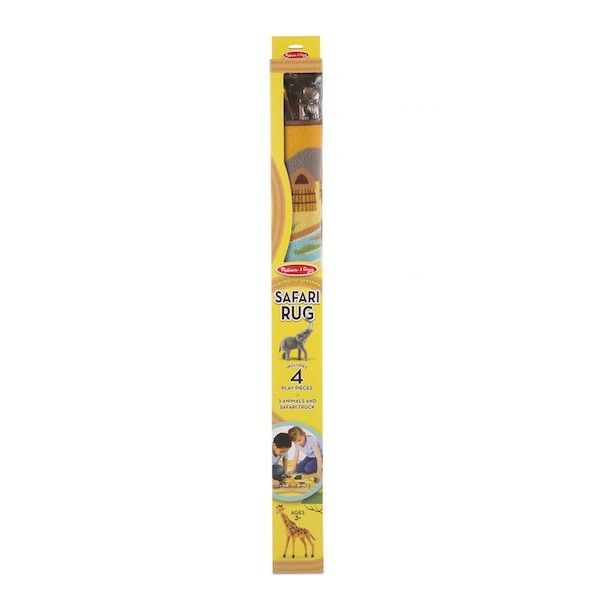 Large format is big enough for multiple kids and lots of animals.